SMART - Light, Elegant and Surprisingly Powerful Portable Waistband Voice Amplifier. Recommended for Tour Guides. The SMART, with its light and long lasting build, is a favorite among teachers, lecturers, tour guides, and outdoor enthusiasts who need to stay in contact with large groups. 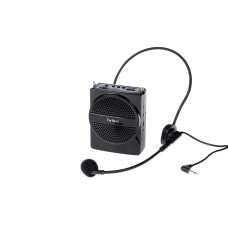 Its high-power audio and clear sound let you reach any audience with ease.